Belgian Air Force Days 2018. 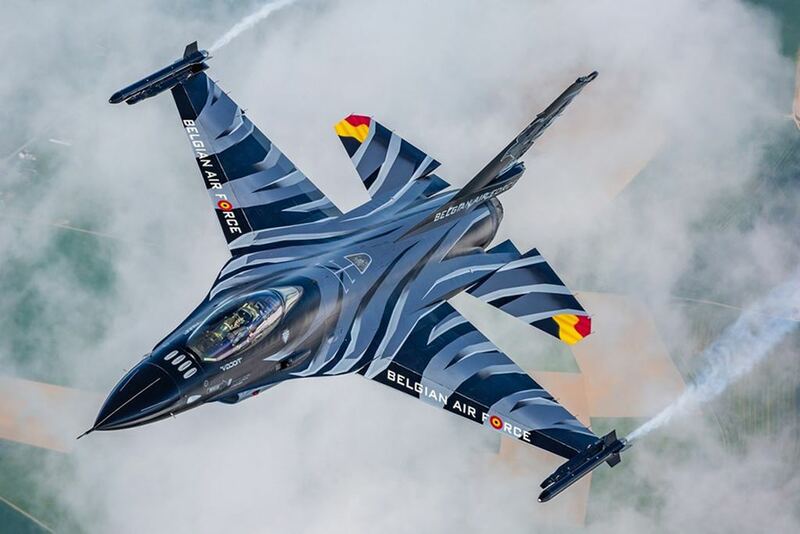 The Belgian Air Force Days on Saturday the 8th or Sunday the 9th of September is the right place for aviation enthusiast! As from 10:00 AM the audience can enjoy a breathtaking flight program. It is different each day; on both days there is plenty to see. Denmark, France, Germany, Greece, Jordan, The Netherlands, Poland, Slovakia, Spain, Switzerland, UK and USA have confirmed their planes at the show. In addition, a unique spottersday will be organized on September 7th. - “Ready for the future” is what we would like to show you during the Belgian Air Force Days 2018. Our Air Force is in full transition with all its capabilities in order to face the security challenges of the future. The modern and powerful CAYMAN (NH-90) helicopter is used for land and maritime support without forgetting its renowned search and rescue task. The ATLAS (A400M) is soon expected as our new strategic and tactical transport capability, replacing the old but famous C-130 HERCULES. Even in the world of the remotely piloted aircraft our air force will continue to invest in a new program. Finally there is the replacement of our combat capability. The F-16 FALCON will gradually be replaced in the coming years by a newer generation fighter. We are preparing ourselves for the tasks of tomorrow. During this spectacular show we would like to show you this and much more. I am honored to act as your host for this Aviation event. Enjoy the breathtaking demonstrations and the professionalism of our personnel - Colonel Geert De Decker, MSc Commander Air Base Kleine-Brogel said.